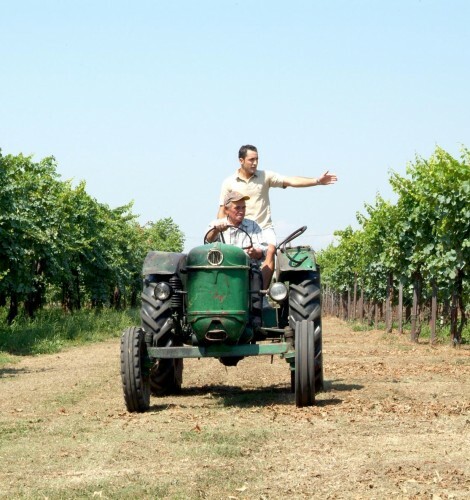 Ca di’ Rajo is an independent family-owned winery in Piave established in 1931, long before Prosecco became the runaway success story it is today. They own all their own vineyards, and don’t buy any grapes or wines, and are totally in control of their own destiny. This is quite rare to find today when majority of the Prosecco are coming from giant wineries and cooperatives which buy their grapes and finished wine from local farmers and winemakers. Ca di’ Rajo harvests 25 year old glera vineyards and make delicious charmat method Prosecco and also a Pet-nat unfiltered Glera named “Le Moss” wine which is the traditional style of Prosecco. The winery, built in modern style but respectful of the traditional architecture of the Piave area, is equipped with modern facilities for winemaking. Cà di Rajo focuses mostly on development and production of indigenous varieties of Treviso’s province, although they also produce some excellent Sauvignon and Bordeaux blends.